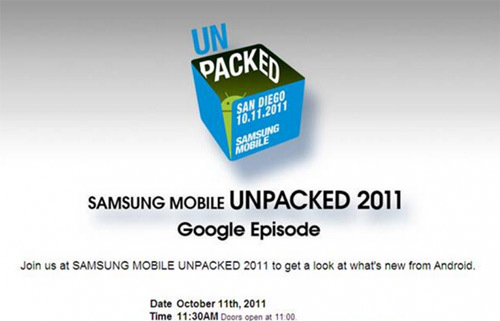 Samsung has sent the invites for an Unpacked Event that is scheduled on 11 October. At this event, Google will also present and both companies will possibly uncover the first Ice Cream Sandwich Device i.e. Nexus Prime. There is a possibility that the smartphone will launch with some other name not that of Nexus Prime. This event will be held at CTIA. You will be able to watch this event live on Youtube.com/android. Check this invite first! I’m anxiously waiting for this date as I’m a biggest fan of Nexus smartphones. Now we have to see what kind of goodies this third Nexus brings for us.